Backup Microsoft outlook Exchange OST files to avoid data loss. Recover your mailbox if your server is not responding using .ost files. Advanced forensic recovery tool to migrate OST files to Office 365. OST recovery Tool To Migrate Outlook OST File to Live Exchange Server. Why do we need to convert an Outlook OST to PST file? An OST (offline storage table) file can only be accessed by the same computer and with the same email Profile which was configured with Exchange server. If you have removed the email profile in Exchange server, then you cannot open or access the .OST file. In such cases, if you want to recover email data from OST file then you have to recover the mailbox data by converting OST file to PST file format. 1. Download and Install free OST to PST Converter tool for OST to PST conversion. 2. Open the OST Converter application. Click the "Start Your Free Trial" button. 3. Select the option "Export Exchange OST file" to recover ost. 4. Select or import OST file that you wish to recover and export to pst and continue. 5. The application lists the content of Exchange OST file in a tree view. Expand the mailboxes and click on any folder of the mailboxes of .ost file to view the mail items. 6. Select the mailbox or the individual folder(s) of mailbox which you want to export to PST. 7. Choose the PST location to save the Exported PST file. 8. Click Export selected Mailboxes button to continue the ost pst conversion. OST to PST Converter freeware. OST to Office 365. OST to Live Exchange Server. Non English .OST file Converter - Recovery of Unicode characters like Japanese, Chinese, German, French etc. OST to PST Converter. OST to Office 365 Migration. OST to Exchange Server Live. OST to PST Converter Tool is a precise OST PST converter, OST to Office 365 Migrator and FREE OST to Live Exchange Server Migrator. 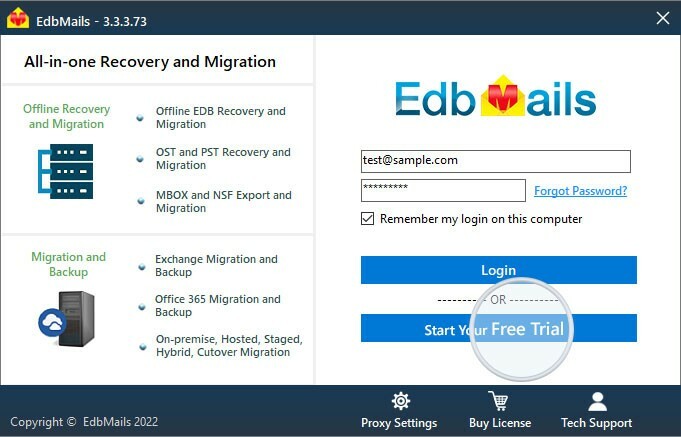 It's an OST to PST converter, OST to Office 365, OST to Live Exchange Server export tool which uses granular - brick - level Exchange Recovery with import OST file and OST to PST export, OST to Office 365 Migration and OST to Exchange Server Migration. OST to PST Converter allows you to precisely export OST data to PST. It can recover all the mail items within OST file like Inbox Outbox, Draft, Sent mails, attachments, contacts, appointment etc. And Convert OST data into PST file. You can create single or Multiple PST file for an OST file. OST to Office 365 migration allows you to precisely export OST file to Office 365. Export the OST file to the specific Office 365 Mailbox during the migration of OST to Office 365. No need of outlook to export OST to Office 365 on your machine. OST to Live Exchange Migration helps you to precisely export OST file to Exchange Server without any downtime. You can map OST data file to the Live Exchange server user account during migration of OST to Live Exchange server. No need of outlook to migrate OST to Live Exchange on your machine. Convert OST file to PST file. Though it is forensic recovery, it maintains high data integrity. Recover your OST data with no limitation on the usage of OST files or size of the OST file. You can extract or recover any number of OST files. Recovers email data with all attachments, Email body images, embed attachments, appointments, notes, contacts, tasks, posts, journals, etc... Also recover Email attributes like Subject, To, From, CC, BCC, Date & time from OST file. While exporting your OST file to PST file, you can filter the emails by Exclude / Include filter option. Set after Date / Before Date and email Subject wise filter for OST export. OstPstMails provides the feature to export .OST file data to PST, EML, MSG formats. This file format can be opened in many mail clients application including Outlook, Outlook Express, Mozilla Thunderbird or any other viewers. Directly Migrate OST files data to Office 365 or to the live Exchange server. You need not have to convert to PST and worry about import of PST to Office 365 or Live Exchange server. Download and install trial version to verify the application. It's absolutely free. No time limitation. Trial version can repair any damaged OST files. Allows you to preview the email data with all attributes. You can recover 30 mail items from each and every folder including Contacts, calendar and other email item types. OstPstMails OST PST converter tool allows you to apply the size limit to the PST file to split automatically during OST export operation. If this option is not set, it will convert the OST to a Single PST file.